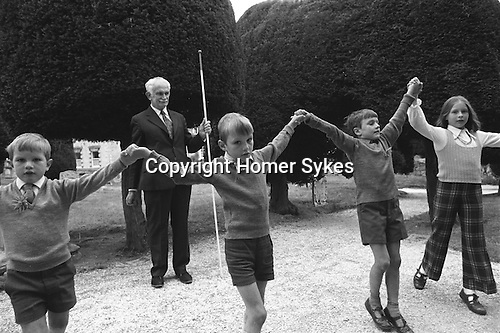 Paniswick Church Clypping Ceremony, Painswick, Gloucestershire, England 1973. September 19th or Sunday following. The congregation and children hold hands, in a circle around the whole of the church, if they can, to complete the unbroken circle.